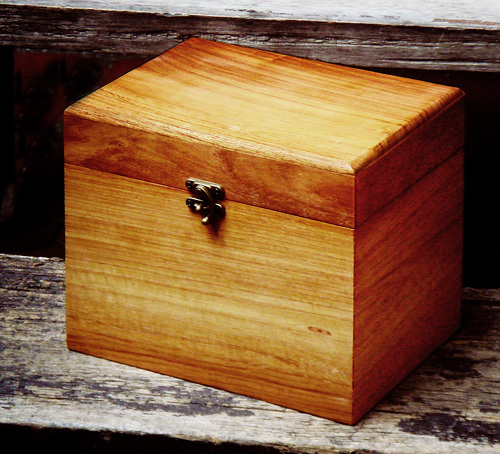 The discs come in a wooden box, each with its own number on the inside of the lid. Each disc comes in a basic cardboard sleeve, listing details of the performance's place, date, "feeling" and some technical details. 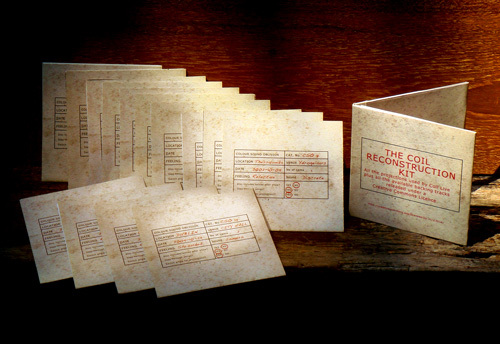 No songs are listed, except on The Coil Reconstruction Kit. 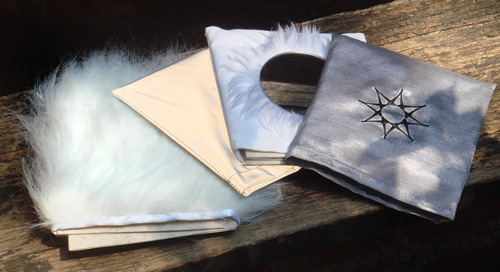 Apart from the Air Gallery performance and the Reconstruction Kit, the discs are packaged in four cloth bags identifying the band's different stage outfits, each representing a specific live-incarnation of the band. Besides the discs, the box contains a fifteen-page booklet, the program to John Balance's funeral ceremony and a large collection of 6" � 4" postcards, mainly of photo's taken on tour. 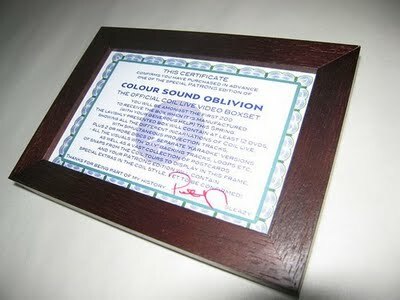 An 'Advance Patrons Edition' of 200 copies, intended to help finance the production, was announced in November 2009. Buyers of this edition received a patronage certificate, but the actual boxes are identical to those that were ordered later (altough it seems that the first 200 have a red plastic tag bearing the copy number rather than a blue one in the 'Advance Edition'). Buyers if the initial editions had the opportunity to have Peter Christopherson write a dedication card with a text of their own choice, which was included in their copy of the box. An additional 'Open Edition' was made available in August 2010. 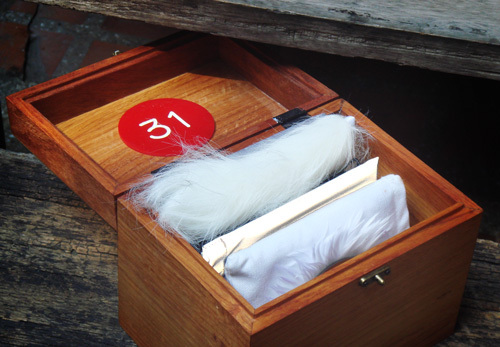 This edition omits the four costume fabric bags for the DVD's, and includes an additional face cloth, embroidered in white with Coil's final lyric "IT JUST IS...", as well as a bar of fragrant handmade soap, in cream suffused with blood red, hand stamped with the words "IT'S IN MY BLOOD...". 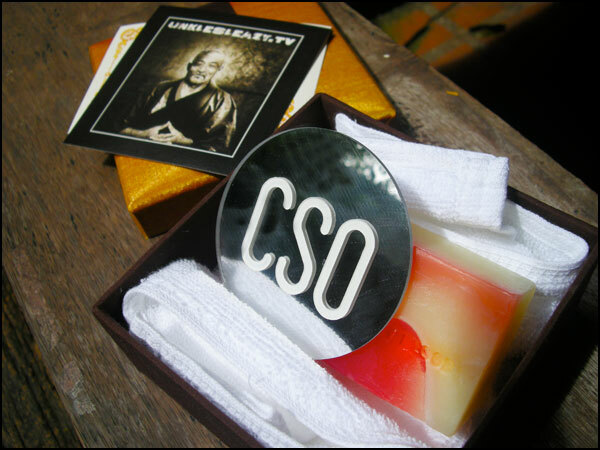 Instead of the red or blue plastic number-tag, the Open Edition has a round mirror with the letters CSO on the inside of the box' lid. 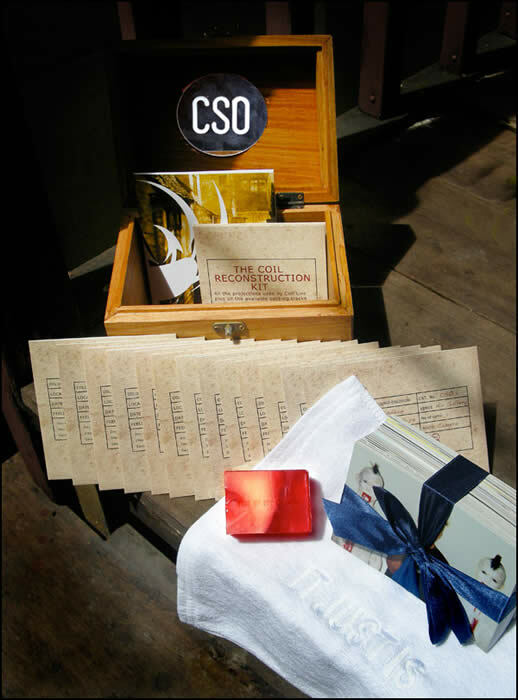 A separate set of these extra's - cloth, soap and mirror - were also made available as a "TopUp Kit" for the buyers of the previous editions. The kit also included the dedication card for those buyers who forgot to ask for one the first time around.